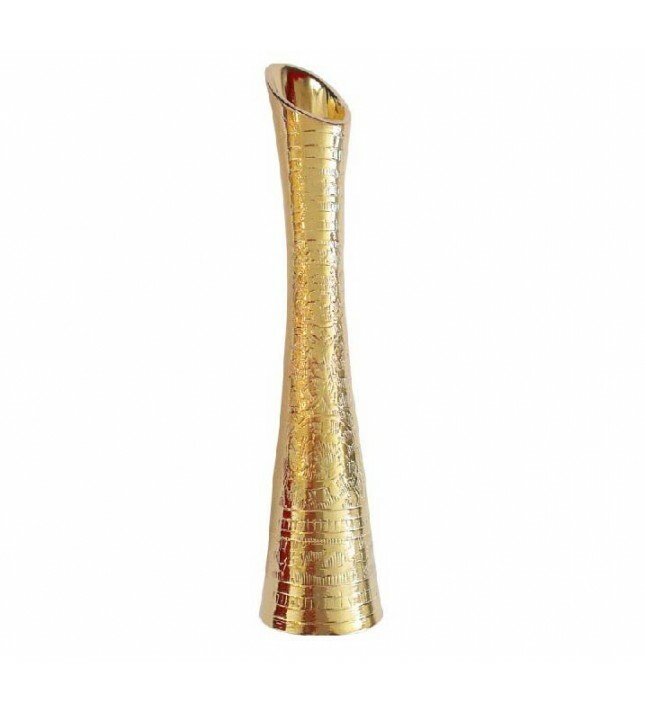 • Real red rose glazed and trimmed with 24 karat gold, combined with an ornate gold-dipped cast brass vase. • Presented in a stylish display case made from high-quality PU leather, with velvet interior. • Display case interior has separate recessed channels for the rose & vase. • Bright and radiant mirror finish. • Presented with a double-sided authenticity certificate. • An iconic symbol of love that will endure a lifetime. • Fast delivery. 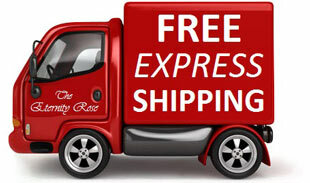 All orders are rapidly processed and sent free of charge by express delivery. • A unique and outstanding presentation of the world's most recognisable token of love. 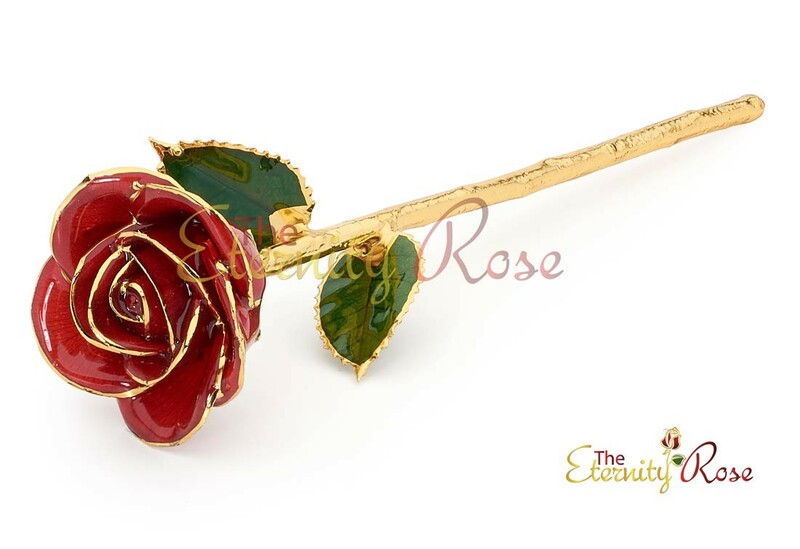 • A genuine red rose, hand-picked at its point of perfection, combined with a beautiful heavy cast brass vase. 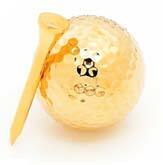 • Both items dipped in pure certified 24 karat gold. 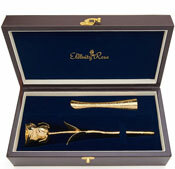 • Comes in a high-quality leather presentation case, with navy blue velvet interior. • Radiant and luxurious mirror finish. 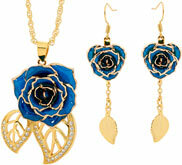 • Each item is a unique work of art that is a stunning symbol of long-lasting friendship, beauty and love. 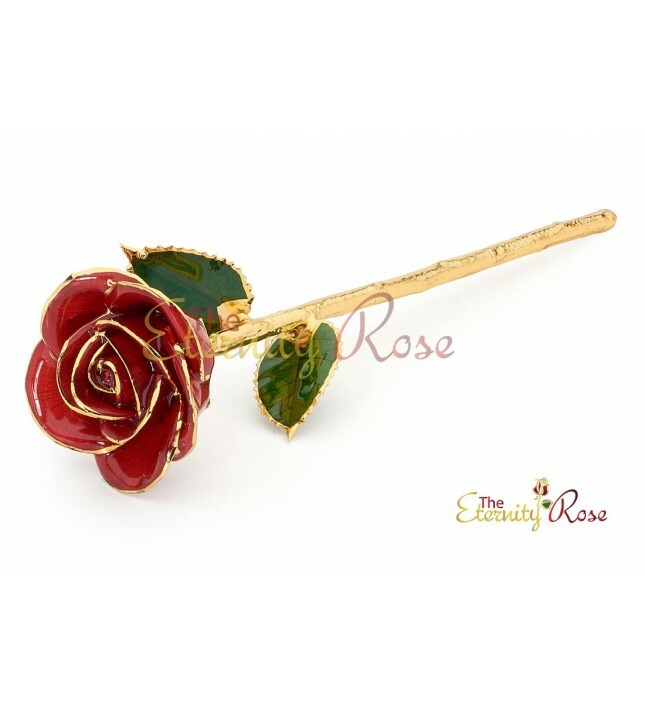 Throughout the history of man, the rose has been an unmistakable and iconic symbol of passion, beauty and love. 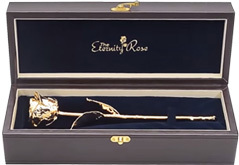 As gold and roses have been lovingly represented in literature and art for generations, The Eternity Rose has now artistically combined these enduring symbols into a prestigious gift that lasts an eternity. The lady in your life will adore a stunning Eternity Rose for any occasion. 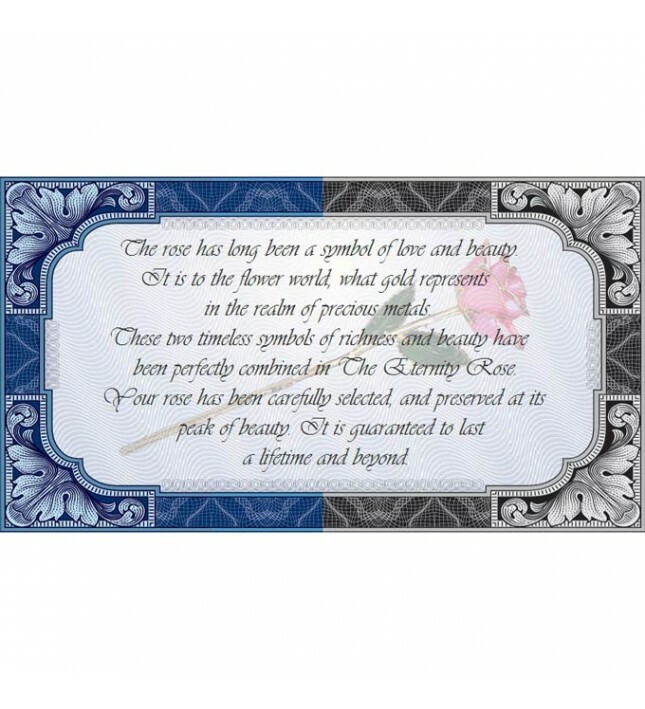 Whether she is celebrating a birthday, Valentine's Day, or a wedding anniversary, you can show your loved one how much you care by presenting her with this gorgeous and thoughtful token of appreciation. Mum might even love one for Mother's Day. There is no stronger symbol of love than the single rose blossom. 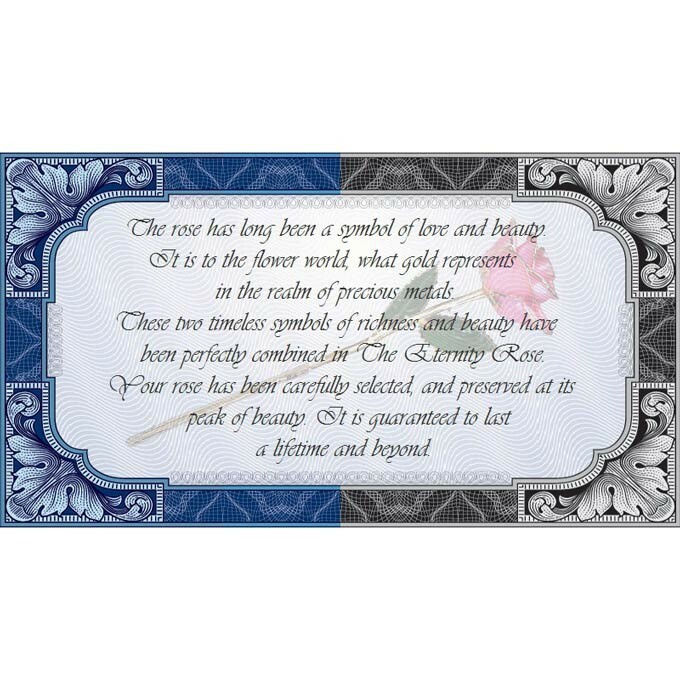 The Eternity Rose's aim is to develop this love symbol into a meaningful art work that can be displayed in pride of place for a lifetime as an eternal testament to love. 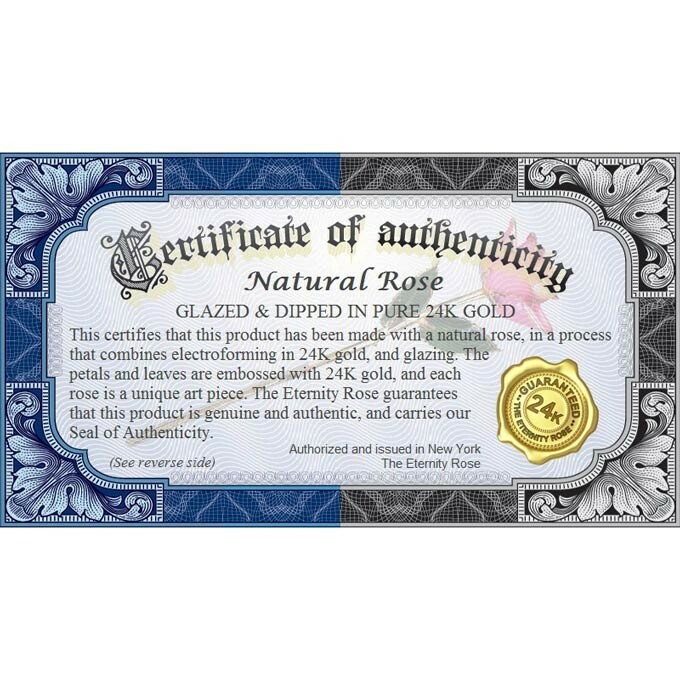 We grow all of the roses that we use for our gold-dipped and glazed flowers in our very own nursery, carefully tended to by qualified horticulturalists to ensure that our roses are only the very best available. 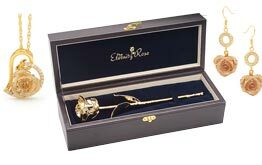 We spare no expense to grow the finest and most beautiful roses in the world, and as each begins to open, they are selected with care to begin the complex preservation process that will eternally capture their splendour. 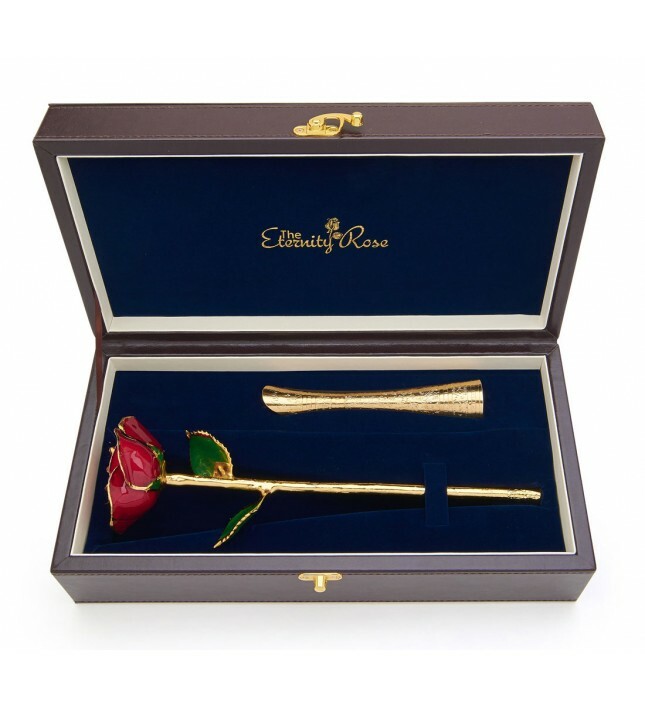 Each rose undergoes a three-month long, 60-step process in order to produce the final magnificent product. We use our very own processes and formulae, beginning with several layers of copper to produce a texture-sensitive base layer that provides the best surface to receive the precious metal coating. 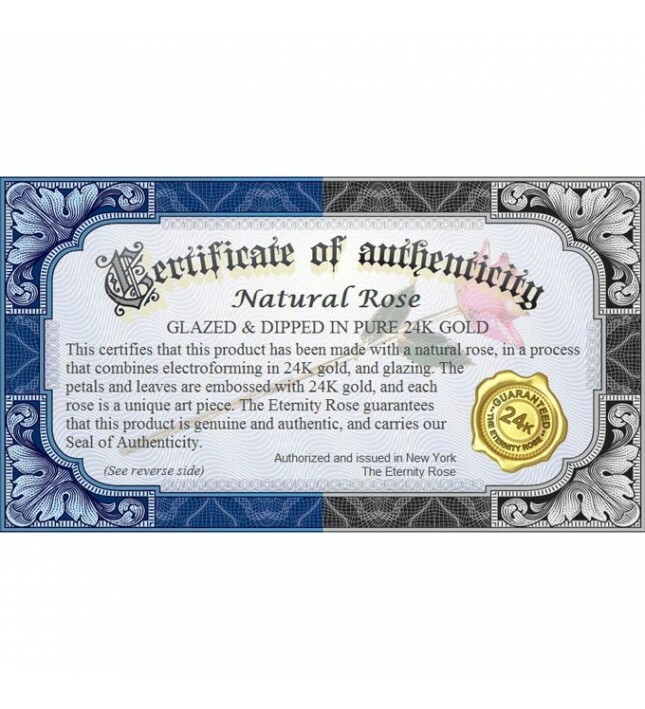 After being sealed and layered with copper, we then electroplate it with nickel to give the rose's structure the necessary integrity to withstand plating with certified gold. During each step of the process, every rose is carefully inspected to ensure that it remains flawless, and that its plating quality and form are absolutely perfect. The rose petals undergo a glazing process, which brightens their natural colour, and preserves them indefinitely. 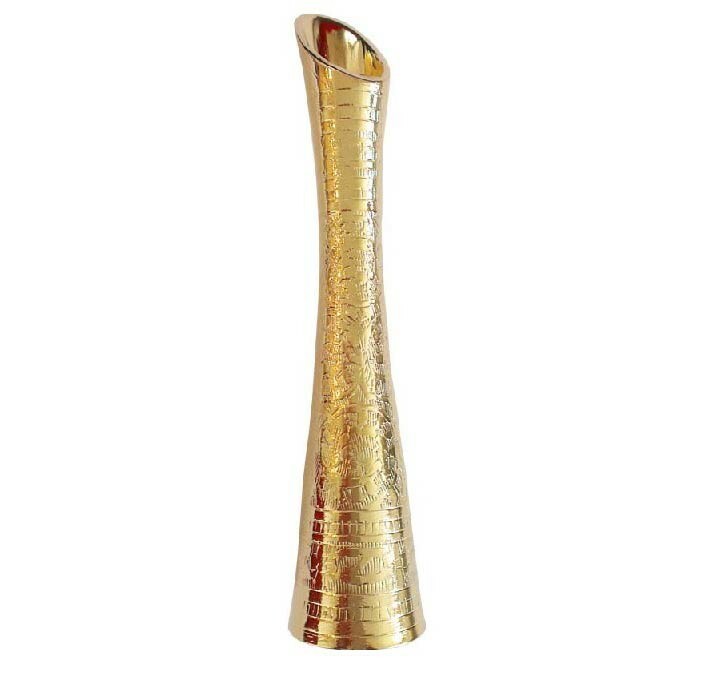 The final result is a flower with a lustrous mirror finish and a brilliant appearance that can never corrode, but will retain its stunning elegance for literally thousands of years. 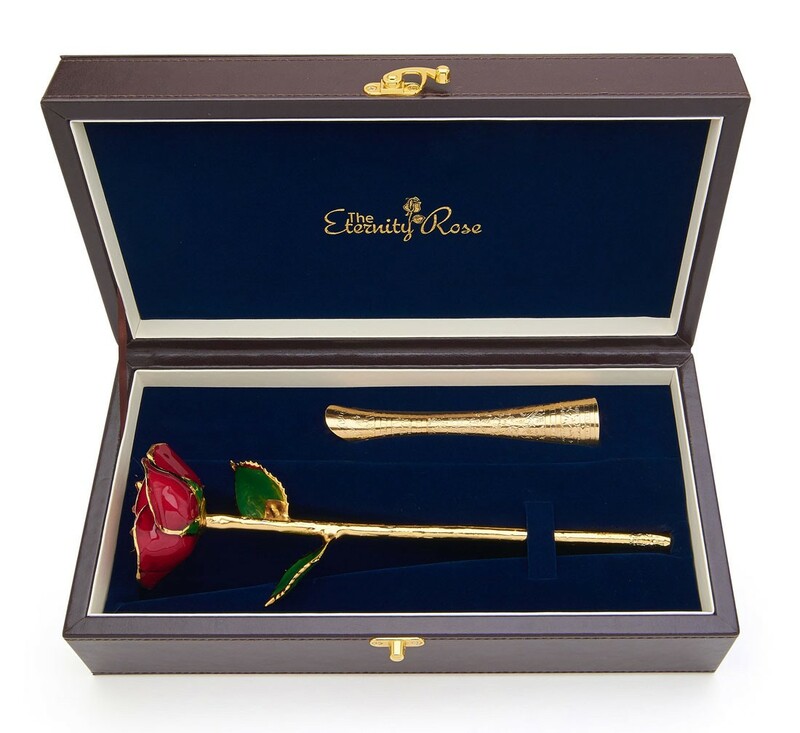 Amaze the love of your life with the gift of an Eternity Rose, and give them the luxurious token of love they deserve.